Snow flurries have hit the area more often than Valley Class 5A and 6A teams have made it to the playoffs’ quarterfinals in the last 20 years. 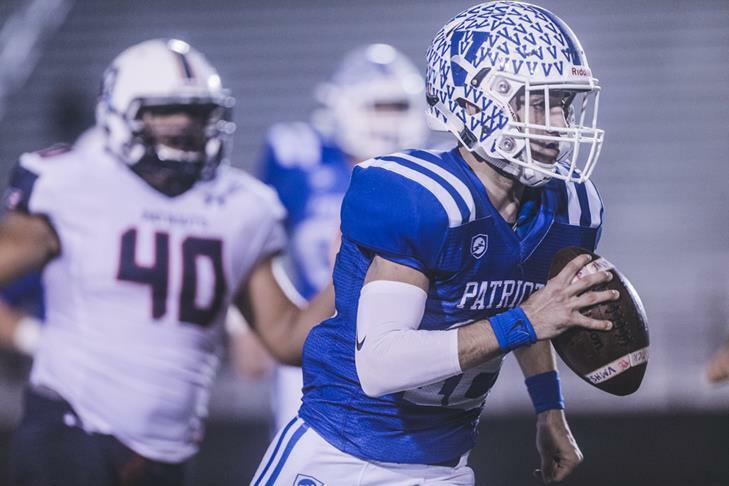 Every year, there are close calls, with a couple of teams running into San Antonio-area schools before being bounced in the third round of the playoffs. Few have broken that barrier, including the 2011 Harlingen High Cardinals and Edinburg High Bobcats — the only big Valley schools to have advanced past that round in the last two decades. After beating Corpus Christi Veterans last week in San Antonio, Mission Veterans etched its name in that elusive class, setting up a Class 5A quarterfinal matchup against San Antonio Wagner at 10 a.m. on Saturday at the Alamodome. Edinburg High made the Class 5A state semifinals in 1999 (11-4) under the longtime coach Robert Vela, and the Port Isabel Tarpons reached the fourth round in 2012 (10-4) in Class 3A. Further back in the record books is Port Isabel, which reached the state semifinals in 1995 (13-1-1), and Mission (12-2), powered by current Mission High coach Koy Detmer, which reached the Class 5A semis in 1990, when it lost to eventual state champion Houston Aldine. Teams that have typically advanced that far have had some things in common — exceptional talent, coaching, leadership, health and a few breaks. Randy Bermea, a 2011 All-State defensive back for the Cardinals, said it took the entire Harlingen football ecosystem to make them who they were, including coaches, practice players, strategy and fans. Harlingen beat San Antonio Warren in the third round, before bowing out in the fourth round to San Antonio Madison — an RGV nemesis over the years. Bermea feels honored to be mentioned in that conversation. “I think everyone in our locker room believed that a state championship was possible,” said Bermea, who also played receiver and was a state champion hurdler, eventually signing with Cal-Berkeley. “It was our goal since we knew what football was. Getting to the fourth round usually means beating a state-ranked San Antonio team like a Madison, Reagan, Converse Judson or Cibolo Steele in Class 6A. That opportunity usually presents itself in the third round — affectionately dubbed “Valley Week,” when the last-standing Valley teams typically bow out. In Class 5A, RGV teams must get beyond Corpus Christi schools, and that normally means facing state powerhouse and Valley eraser Calallen. Mission Veterans beat an undefeated Corpus Christi Veterans — considered by some as the area’s new “it” school, after opening in 2015. Recently, some RGV teams have gotten close to making the fourth round, but have fallen painstakingly short. Just last week, 11-2 Brownsville Hanna lost 33-32 to San Antonio Brandeis. Other recent examples include McAllen Memorial losing 35-27 to a San Antonio Reagan team led by Trevor Knights, who later played for Oklahoma and Texas A&M in 2012, and the Mustangs then losing 35-34 to San Antonio McArthur in 2006. The Patriots have earned the right to be named in the pantheon of all-time great Valley teams by advancing to the fourth round. Now, they have one more game, one more chance at history on Saturday.